Stanley E. Hubbard, pioneer broadcaster and founder of Hubbard Broadcasting was born in 1897 in Red Wing Minnesota. His father died in 1901, and the bereft family moved to the Twin Cities where, devoid of their breadwinner, they faced financial challenges. At a young age, the four boys found work wherever they could. During WWI, Stanley served in the Utilities Detachment of the Quartermaster Corps. Immediately after the war, he started up a fast-and-furious series of business ventures in Philadelphia, New York City, Miami, and Louisville Kentucky. In 1923, Stanley changed focus and came back home to Minnesota. He returned to an interest that he had first toyed with as a young teen when he built an amateur 250-watt radio transmitter from plans he found in a magazine. Now, years later, and with a pile of trial-by-fire experience behind him, he began to experiment with radio technology with the hope of starting a radio broadcasting business in the Twin Cities. 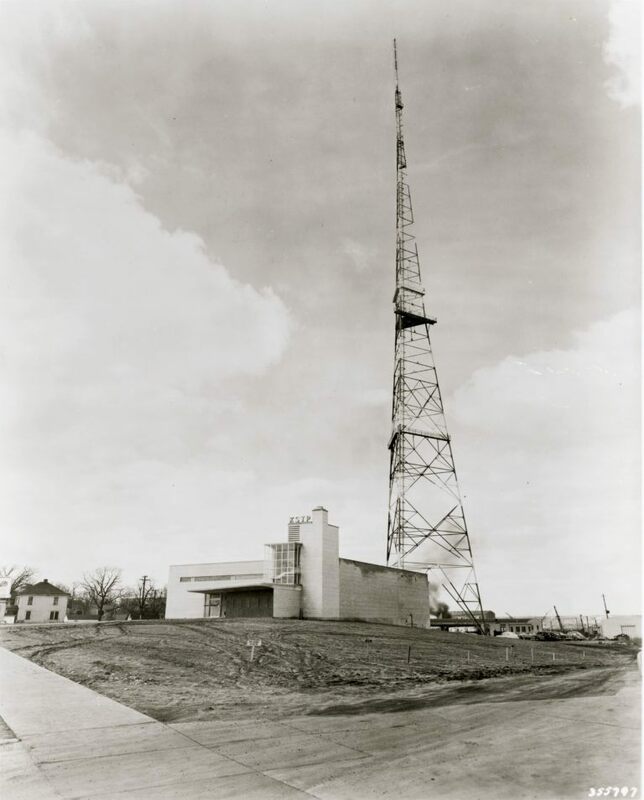 In 1928, by consolidating and trading in WAMD’s license and the license of another local station, a new Twin Cities station was born in Saint Paul. On March 29, 1928, President Calvin Coolidge pressed a gold telegraph key from the White House to officially activate KSTP-AM radio’s antenna. KSTP-AM radio has been in continuous operation as a leading voice in the Twin Cities community ever since that first broadcast. In 1938, KSTP purchased the first television camera ever sold by RCA. Innovative as always, Stanley Hubbard immediately began experimenting with television technology. Stanley E. Hubbard had always held 25% of the stock in KSTP. In March 1947, in an action following an arranged transfer of stock the FCC granted approval for Stanley E. Hubbard to acquire (with financing) the remaining 75% of the stock in the company. KSTP-TV went on the air on April 27, 1948, as the first television station between Chicago and the West Coast. 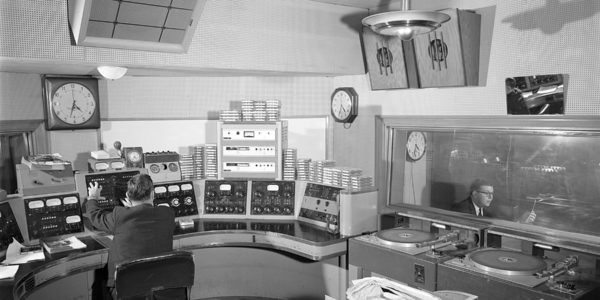 The TV station settled into its brand-new studios on the line straddling the cities of Minneapolis and Saint Paul. The station’s first slogan was “Where the Twin Cities Meet.” Commercially supported broadcasting, a strong commitment to local news coverage, and a mix of entertainment and public affairs programming were core to the station’s mission. 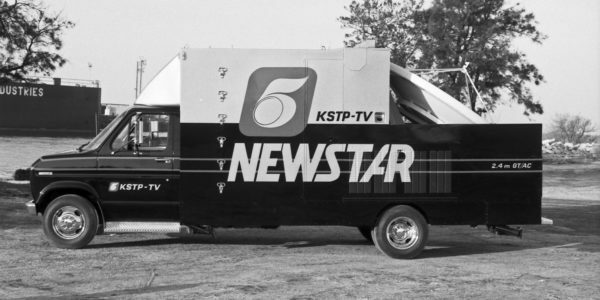 Among many other firsts, KSTP was the first television station in the nation to have a full half-hour late newscast 7 days per week. 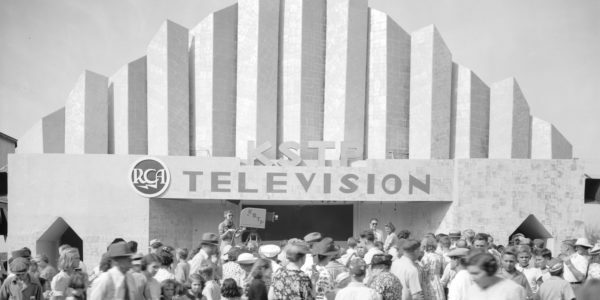 KSTP-TV has been in continuous operation since 1948. In 1951, at the age of 17, Stanley S. Hubbard, the oldest son of Stanley E. and Didrikke Hubbard, officially began work as a prop boy for KSTP radio and TV. He gained experience in all departments, working in sales and as a photographer, floor director, director, and radio producer. Stanley’s younger brother, Richard A. Hubbard, also worked for KSTP. Richard passed away in 1972. In 1957, HBI purchased KOB-TV and KOB-AM radio from Time-Life. 30 years later HBI sold KOB radio but retained the television station. KOB-TV had been on the air since 1948 and initially ran programming from all four networks. Hubbard Broadcasting Foundation was incorporated in 1958. This philanthropic foundation awards grants to a variety of worthy causes including organizations involved with arts and culture, human services, children and youth, health, medical research, and education. In 1968, HBI founded UHF station WTOG-TV in the St. Petersburg, Florida Market and operated it as an independent. In 1986, still independent, it became a charter Fox network affiliate and later signed on as a UPN affiliate. F&F Productions was founded in 1981 and is headquartered in Clearwater Florida. F&F provides full-service remote mobile live production facilities for a variety of clients including major league sports, network series, entertainment specials, political conventions, concerts, etc. The United States Satellite Broadcasting (USSB) was formed by Stanley S. Hubbard in 1981 and began planning and raising funds for digital direct-to-home satellite television service. USSB received the first-ever direct broadcast satellite permit in 1982. 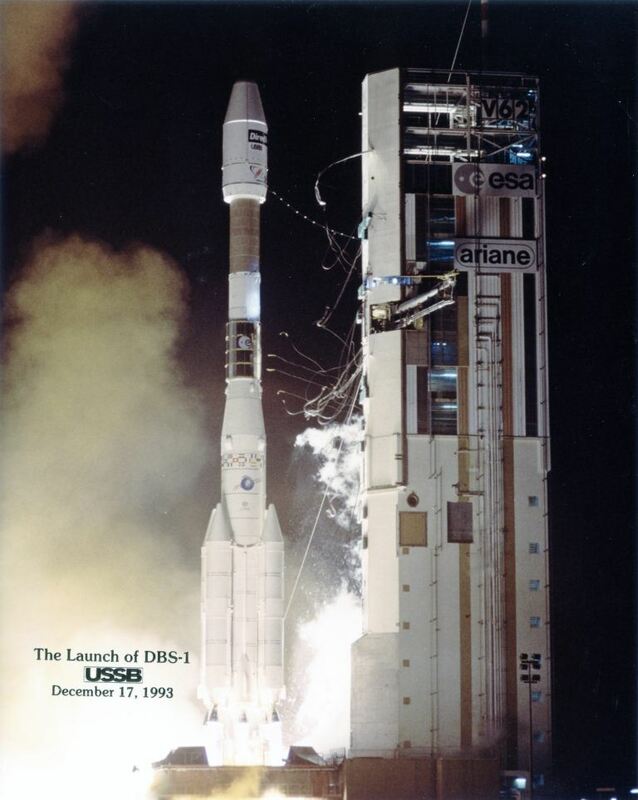 An Arianespace rocket carrying USSB’s satellite was launched on Dec 17, 1993, and broadcasting service, in cooperation with Hughes DIRECTV, commenced in 1994. In 1983, Stanley S. Hubbard was named Chairman, President, and CEO of Hubbard Broadcasting. Hubbard Broadcasting engineers developed the first SNG (mobile satellite news uplink truck). In 1984, HBI founded CONUS Communications. Local CONUS station affiliates used their SNG trucks to share news stories back to “CONUS central” via satellite. In 1987, HBI purchased WDIO-TV in Duluth along with its satellite WIRT-TV in Hibbing, from Harcourt Brace Jovanovich. In 1987, KSTP-TV launched satellite stations KRWF-TV in Redwood Falls, MN, and KSAX-TV in Alexandria, MN. Stanley E. Hubbard, founder of Hubbard Broadcasting, died at age 95 in Miami Beach, Florida in 1992. In 1996, in a station swap, HBI traded WTOG-TV in St. Petersburg Florida to Paramount Stations Group and, in turn, acquired WNYT-TV in Albany, NY, and WHEC-TV in Rochester, NY. On April 24, 2000, HBI purchased KVBM-TV in the Twin Cities and, soon after, changed the call letters to KSTC-TV. In 2000, HBI also purchased WIXK-AM and WIXK-FM radio that were then serving the New Richmond Wisconsin market. Hubbard moved the FM station to the Twin Cities. WIXK’s letters were changed to KTMY-FM. In 2001, Hubbard Broadcasting purchased KAAL-TV in the Austin - Albert Lea - Rochester, Minnesota -Mason City, Iowa market. The station had been on the air (initially under the call letters KMMT) since 1953. On September 27, 2006, HBI launched Reelz, an independent cable and satellite general entertainment national television network. Since 2009, Reelz has been headquartered in Albuquerque, New Mexico. It is currently carried on DISH Network, DIRECTV, CenturyLink Prism TV, and Xfinity. Ovation is an independent television arts network. It originally premiered in 1996. In 2007, with an investment by Hubbard Media Group and partners, this privately held network was relaunched concurrently with the start of national carriage on DIRECTV. In addition to DIRECTV, Ovation is currently available on several other distribution systems. In 2011, Hubbard Radio acquired 17 radio stations from Bonneville International. In the years since then, HBI has purchased additional radio stations from Sandusky Radio, Omni Broadcasting, and Emmis Communications and currently operates a total of 46 AM and FM radio stations in Chicago, Washington DC, Seattle, Phoenix, Minneapolis-Saint Paul, Northern Minnesota, Saint Louis, and Cincinnati. In 2012 HBI launched 2060 Digital as a national standalone digital marketing service agency with offices in seven top US markets.